Tata Nano Automatic car smart mini hatchback designed for the next generation now available in Sri lanka. 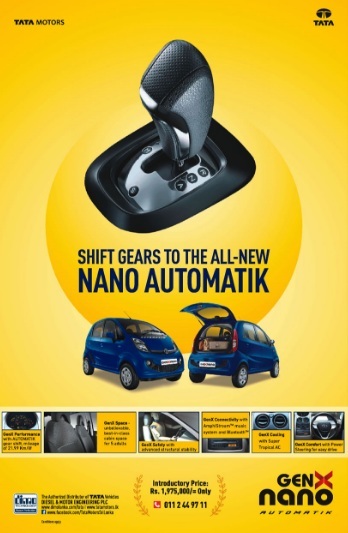 Tata motors is the authorized dealer for the Nano Automatic car in Sri lanka. Tata Nano Automatic car price in Sri lanka (Introducing price) : Rs 19,75000.00. Tata Nano GenX facilitate more of new technological advance features proper fuel efficiency. 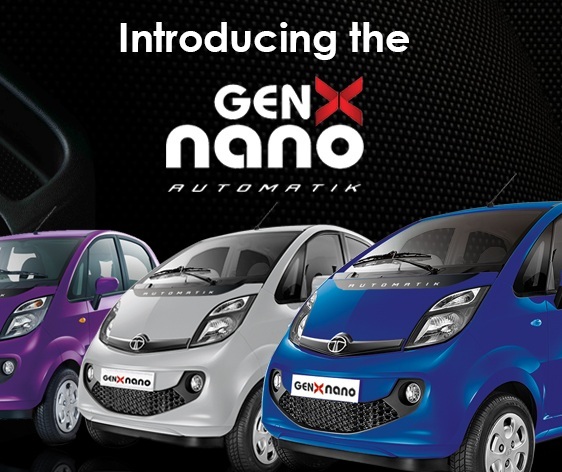 GenX Nano Automatic is a smart city car recorded 21,9Kmpl and give comfort driving experience for the customer. To get more information's about Tata Nano Automatic Car Call Tata customer care hotline 011 2 449 711.